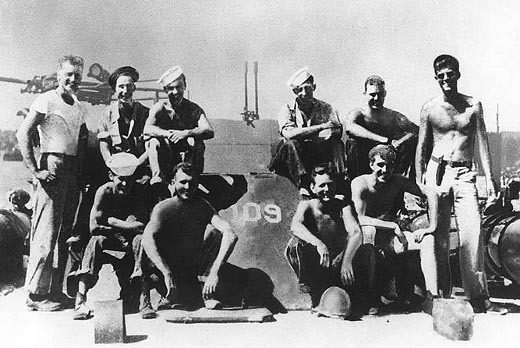 On August 2nd of 1943, whilst serving as commander of the PT-109 during World War II, John F. Kennedy and crew (pictured above, JFK on the right) were rammed by the Japanese destroyer Amagiri; their boat instantly halved by the impact and two of the crew killed. Six days later, stranded in the Solomon Islands with his fellow survivors, Kennedy carved the following message into a coconut shell and handed it to Biuku Gasa and Eroni Kumana, two natives tasked with delivering it to the nearest Allied base 35 nautical miles away, by canoe. Luckily they succeeded, and as a result Kennedy and his men were soon rescued. 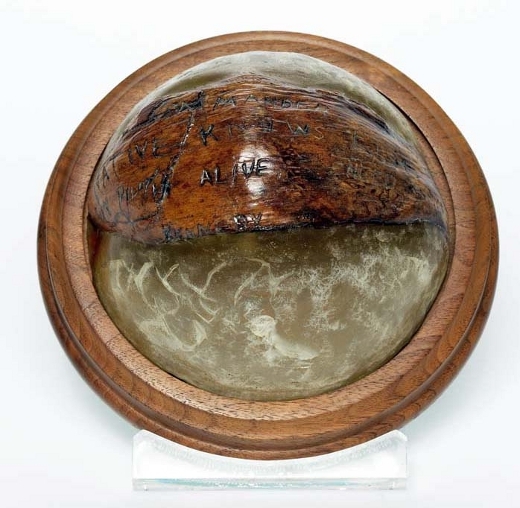 Kennedy later had the shell encased in plastic; it was then used as a paperweight in the Oval Office during his Presidency.